Contact Author By E-mail Here. Join us on February 23rd from 4:00pm to 7:00pm for a Wags and Walks dog-themed Sip and Paint night with rescue dogs at our new adoption center! Enjoy wine and light snacks with instruction by artist Jackie J. 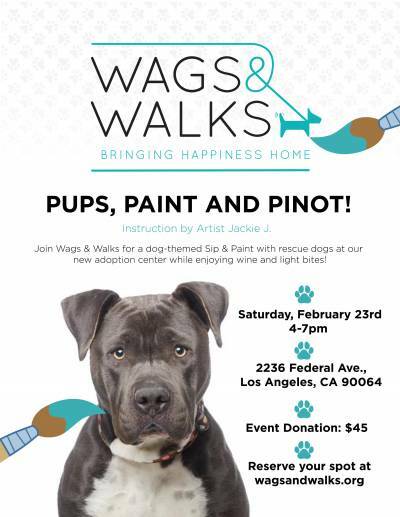 Check out Dates for: Pups, Paint and Pinot! Fiesta the Right Way on Cinco de Mayo at Dos Caminos! Where to Advertise Events: Events Near Here!